Being born in the mid 1970’s it will come as no surprise to you if I say that one of my favourite toys when I was little were Trolls. These hard little plastic dolls with sticky up hair you could backcomb were brilliant. I still have a couple of them and every so often I put them by my computer to spur me on with work. It was very exciting to hear that Dreamworks have turned their adventures into a film staring Anna Kendrick, Justin Timberlake, James Corden, Kunal Nayyar, Gwen Stefani, Russell Brand, Ron Founts. DreamWorks’ TROLLS is a hair-raising comedy filled with unbelievable adventure and incredible music. Known for their crazy, colourful, and magical hair, Trolls are the happiest, most joyous creatures ever to burst into song. But their world of rainbows and cupcakes is changed forever, when their leader Poppy (Anna Kendrick,) must embark on a rescue mission that takes her far beyond the only world she’s ever known. 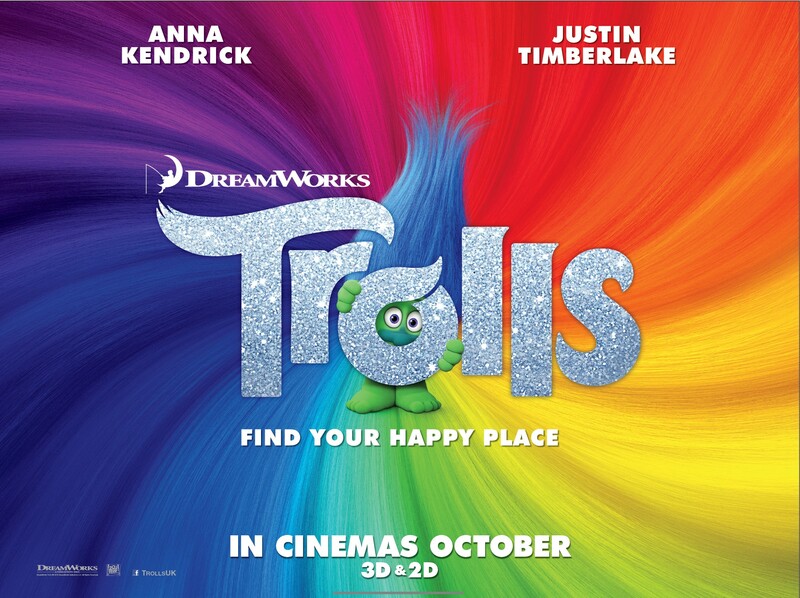 DreamWorks TROLLS is released in cinemas October 21 in 3D and 2D.